Ian Austin visited Dudley Council’s Homelessness team to find out more about their work helping the homeless and those at risk of homelessness in the Dudley Borough. Home ownership in the West Midlands has fallen, private renting has doubled, the costs of buying or renting a home in the private sector have soared and rough sleeping is on the increase. Dudley has a “No Second Night Out” policy which means that people sleeping rough will be offered emergency accommodation and support. People in need of help about housing or homelessness can contact Dudley Council’s Homelessness Prevention and Response Team by calling 0300 555 2345. 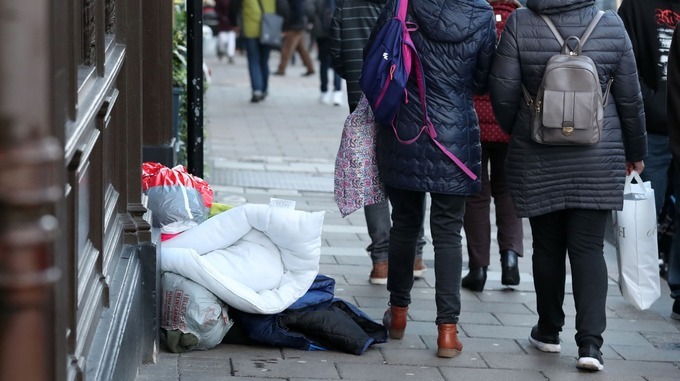 “People in Dudley have been shocked at the increase of people sleeping rough in the town, so I spent a few hours with Dudley Council’s Homelessness team hearing about their work to help homeless people. “Benefits changes, housing benefit cuts, the Bedroom Tax, sanctions and the chaotic introduction of universal credit have all made the situation much, much worse and I promise I’ll carry on campaigning in parliament on these issues.